As per the screen above, except from the color have changes the rest it is almost intact. 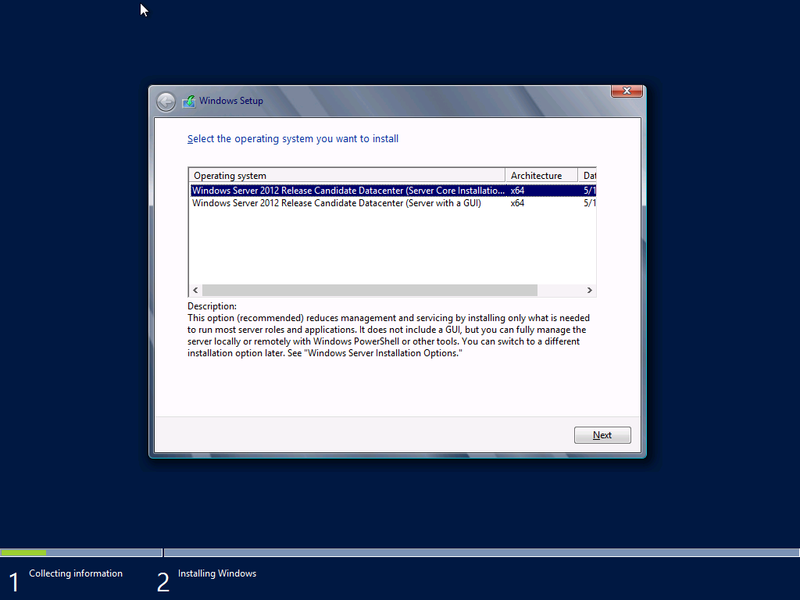 This would be the first screen that you will see when you start installing the operating system. As you know that in the previous developer version , the OS version it is not been differentiate with a different version, but however there is a new option for the installation that known as Features on Demand. As the release candidate version have been released, the only different changes will be the name of the operating system and the background color. On the RC released, there is 2 option of installation provided which it is the same as the previous beta version. 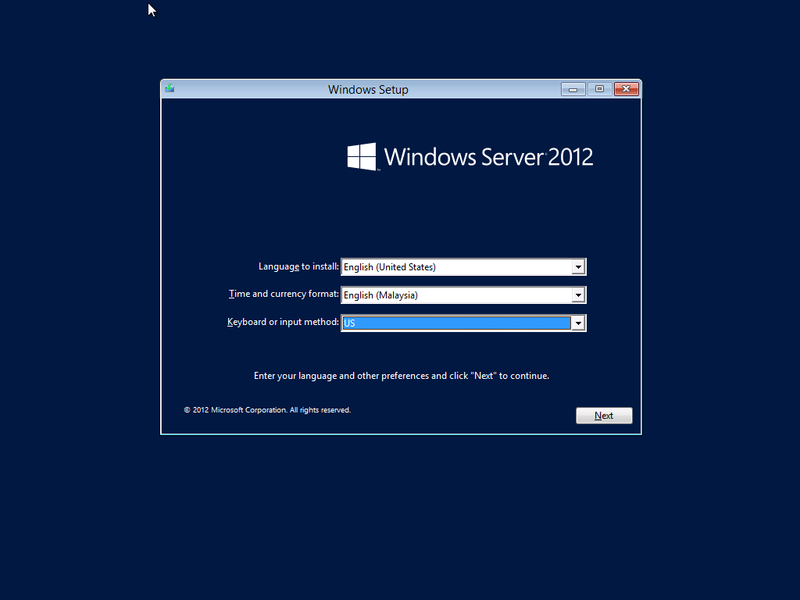 If you notice on the version Windows Server 2012, the Features On Demand seem to be missing or disable by Microsoft. Features On Demand will mean not just disable the features on the operating system, but it does remove all the binary from the operating system. In fact the options it is not remove rather it was embedded into the operating system. 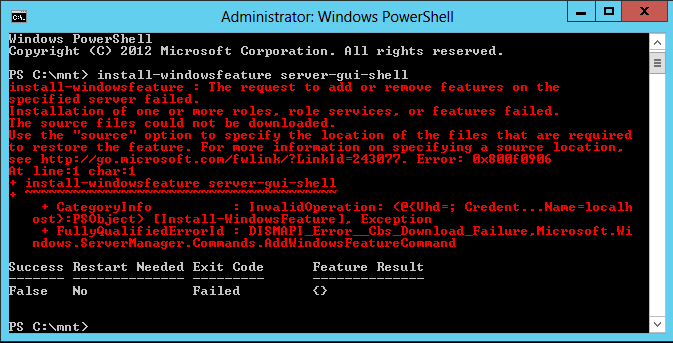 If you would like to remove the entire binary you can use the -remove parameter in the powershell. But mostly IT administrator won't be removing it as it won't take a lot of the disk space. 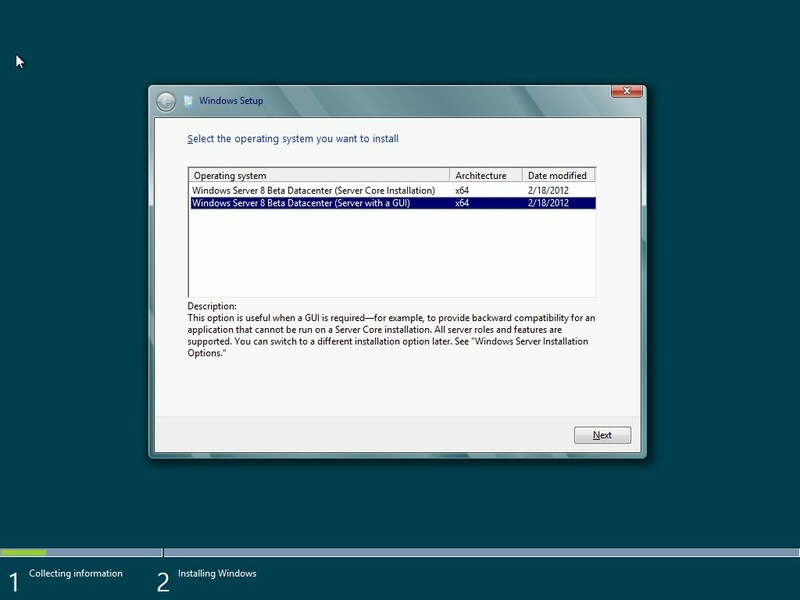 As you can see the screen below, it show the disk space before the gui-shell remove from the system, you still have the free space of 28.04GB. If you would like to uninstall all the binary, you can use the following command Uninstall-WindowsFeature Server-Gui-Shell -remove. Do take noted that, don't simply use the -remove parameter. As you can see on the screen above, the disk space after the GUI have been removed. If by chances, you make a mistake and you would like to install back, the command will be reverse as per above. You need to have the media to be mounted using the DISM command.If you are trying to install the features you will hit by the following error as per above. 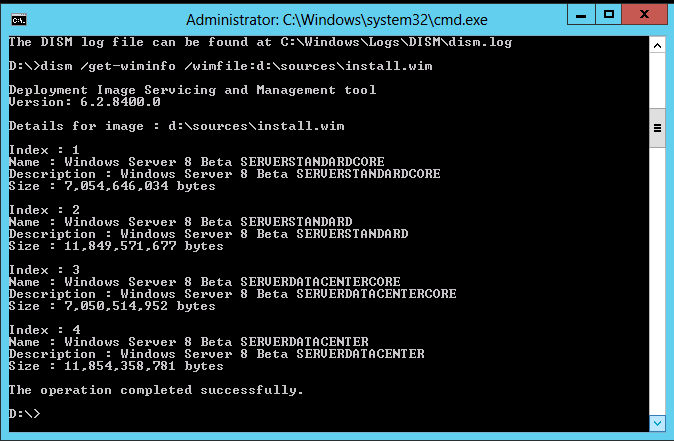 First you need to view the content by using the following command dism /get-wiminfo /wimfile:d:\sources\install.wim. If you see the output from the Windows Server 2012 RC, they are other operating system such as standard too. 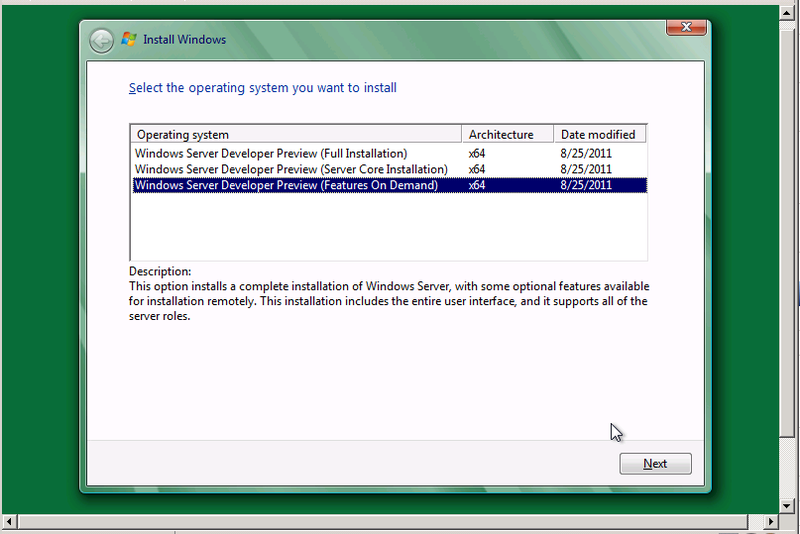 Since we are using the datacenter with GUI version, we are going to select the number 4. Next steps will be mounting the install.wim into a singles folder called as mnt in c: drive by using the following command dism /mount-wim /wimfile:d:\sources\install.wim /index:4 /mountdir:c:\mnt /readonly. 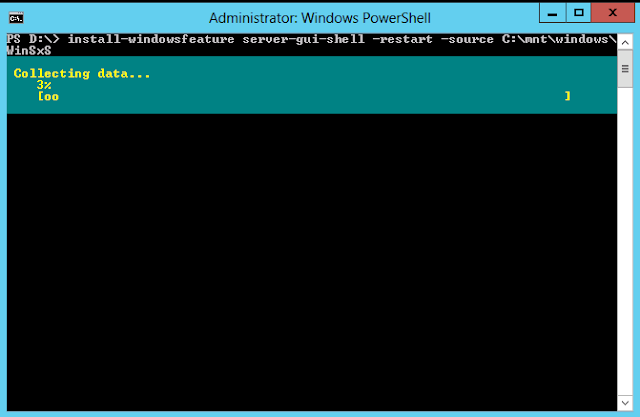 The final steps will be using the powershell to install the features back to the operating system using the following command as above. After you have perform all the steps, you must remember to unmount the install.wim using dism /unmount-wim /mountdir:c:\mnt /discard. 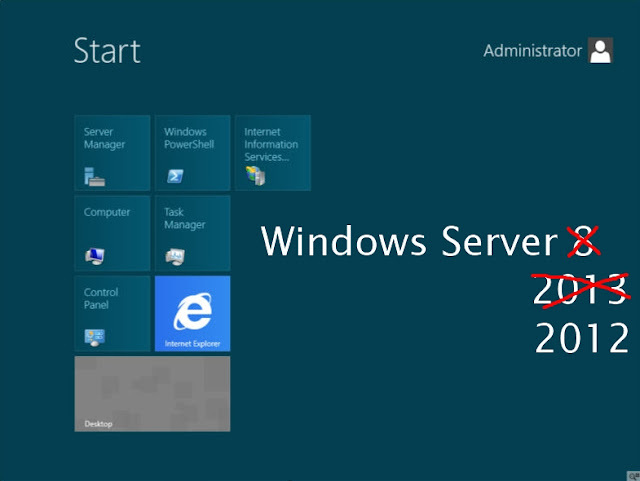 From my opinion, although they have some comment on how easy Windows Server 2012, but in fact, I see some how it is a bit complicated as they are new things have been introduced. Let us know what you though , learns and hope for next articles!. Connect with us on GOOGLE+ , TWITTER and FACEBOOK.